Our range of products include corn starch, maize starch powder, maize starch, plaster of paris binder and gypsum board binder. 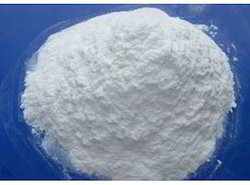 Maize Starch Powder commonly known as Corn Starch is derived Corn. Maize Starch is a cereal starch having low Protein & Ash content. Maize Starch is transformed into a very smooth paste with in an hour. The foaming is usually associated with high pH so it is not necessary to add any antifoaming agent because pH of Maize Starch is always maintained in neutral range. In addition to this Starch the starch is easily dispersal in hydrophilic media when the product is immersed in. 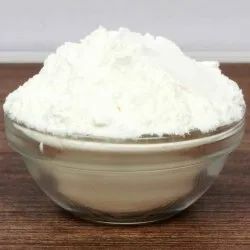 Maize Starch is used in Pharmaceutical Industry as a dusting media for various type of coating as well as binder & filler for capsules & tables. 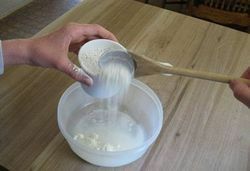 It is widely accepted in the areas of Dry granulation techniques where active ingredient are hygroscopic and is difficult to dry after wet binding, Maize Starch has proved to be as a efficient dry - binder. Maize Starch is used in textile industry to provide stiffness & to add weight to cloths. Starch is also used in conjunction with thermoplastic or thermosetting resins to obtain a permanent finish. Maize Starch plays a vital role in food industry due to its characteristic such as viscosity & opaque paste, used for thickening sauces, gravies, puddings and pie fillings. It has numerous application in baking industry, provides strength to ice cream cones. Maize Starch is used in paper industry for sizing as well as to increase the paper strength. The purpose of size press application is to improve appearance and erasibility ink penetration and form a hard firm surface for writing or Printing, to produce surface fiber picking, and to prepare the sheet for subsequent coating. Corn Starch is used as an adhesive in pigmented coating for paper and paper board. The primary purpose of coating is to enhance the printability and appearance of the paper. Maize Starch Powder is available in 50 Kgs Plastic lined HDPE woven bags as well as in 1 Ton Jumbo HDPE Bags. We offer excellent grade of maize starch that is available in two types that is food grade and textile grade. These are manufactured by using supreme quality starch as a raw material and are processed with wet milling process. 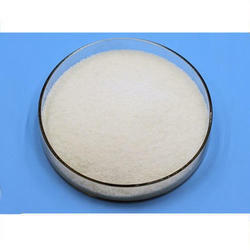 These maize starch salts are available at reasonable prices and delivered at client’s end after complete quality and performance test. Description Modified starch is made from natural corn starch whose attribute is changed in physical, chemical or enzyme reactoins. It is widely used in paper making, textile, food staff, construction material and other industries. Variety: Corn; Tapioca, Waxy Maize, Potato, Wheat, etc. Application: Food, Feed, Construction, Oil, Adhesive, Textile, Paper, etc. Applications of Corn StarchA wide range of modified starches for diverse applications, such as: food, feed, oil drilling, construction materials, textile printing, gypsum board, etc. 1. For Food Industry, our modified corn starch can be widely used for bakery, snacks, confectionery, sauces & seasoning, flavor & encapsulation. 2. For feed industry, it can be used as binder & adhesive for pet food and aqua feed. 3. For oil drilling industry, it can be used as filtration control agent & regulator for water-based drilling fluid system. 4. For construction materials, it can be used as dry mixing mortar industry, thermal insulation mortars, masonry mortars, joint filler & crack filler, tile adhesives. 5. For textile printing, modified corn starch can be used as textile printing thickener for disperse printing, nylon spandex fabric printing, rayon discharge printing and reactive printing. 6. For gypsum board, it can be used as binder & adhesive for gypsum wallboard. Modified starch is made from natural corn starch whose attribute is changed in physical, chemical or enzyme reactoins. It is widely used in papermaking, textile, foodstaff, construction material and other industries. A wide range of modified starches for diverse applications, such as: food, feed, oil drilling, construction materials, textile printing, gypsum board, etc.